Insaniquarium is a cartoony puzzle game centred around a brightly-coloured aquarium. 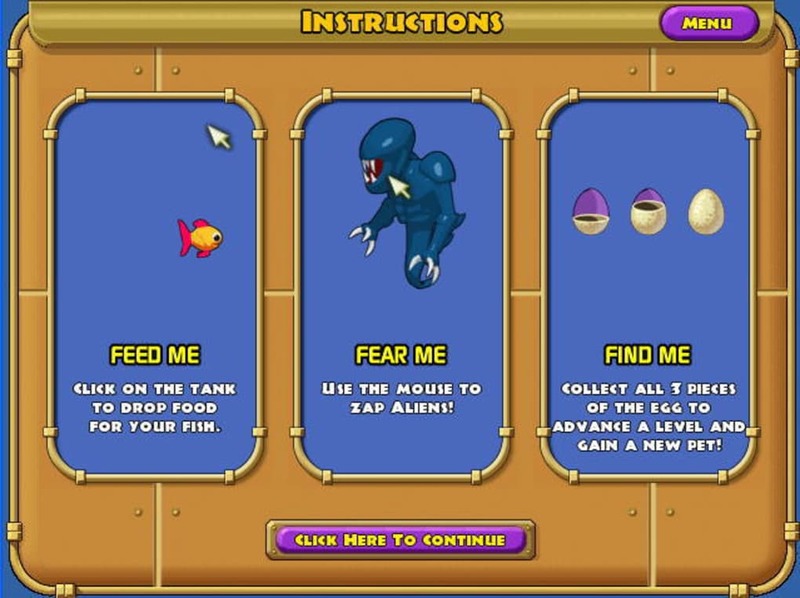 Your tank contains a range of different fish which you'll need to keep fed. Some of the fish eat fish food while others eat their fellow fishtank inhabitants. But keeping your fish fed isn't the only challenge: hostile aliens also show up in the tank and have to be fought off. 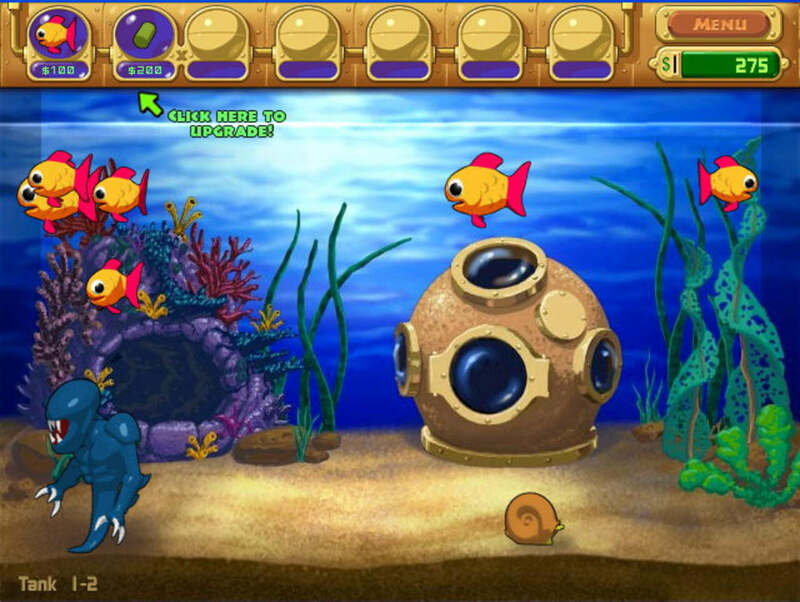 In addition to the standard Adventure mode the game features other play modes including a sandbox-like virtual tank. 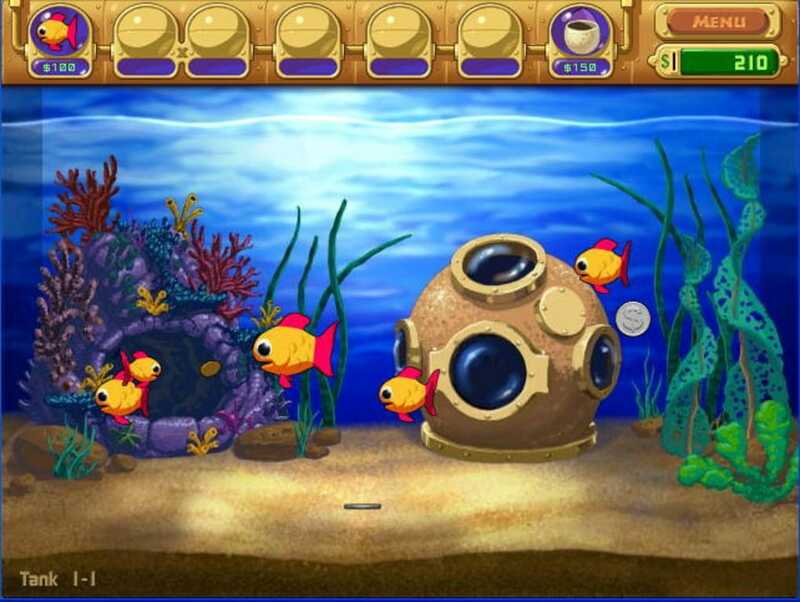 Insaniquarium features colourful cartoony graphics and simple compelling puzzle gameplay. 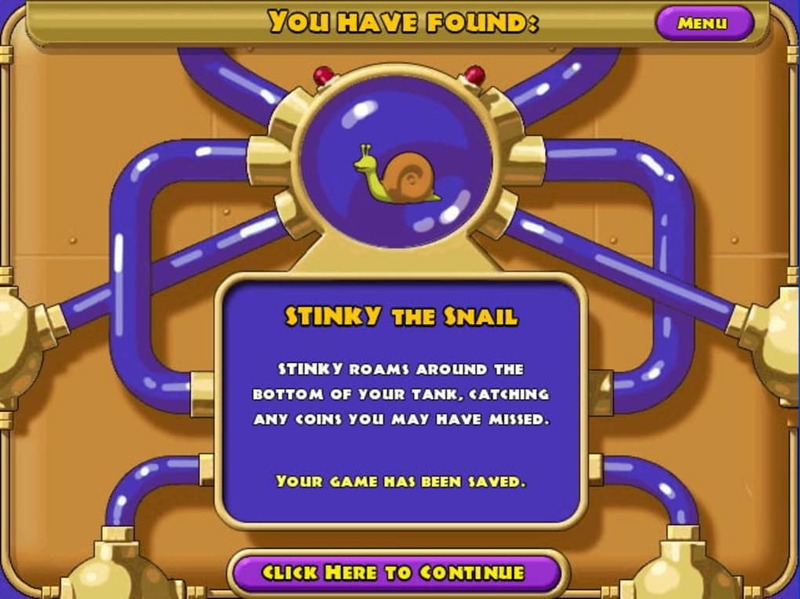 The different game modes allow for increased replay value -- once you've completed Adventure mode you can take on more challenging trials or just play around in the virtual tank or a hidden free-play mode. Unlike most puzzle games this one has a significant resource management element which will appeal to fans of strategy games. 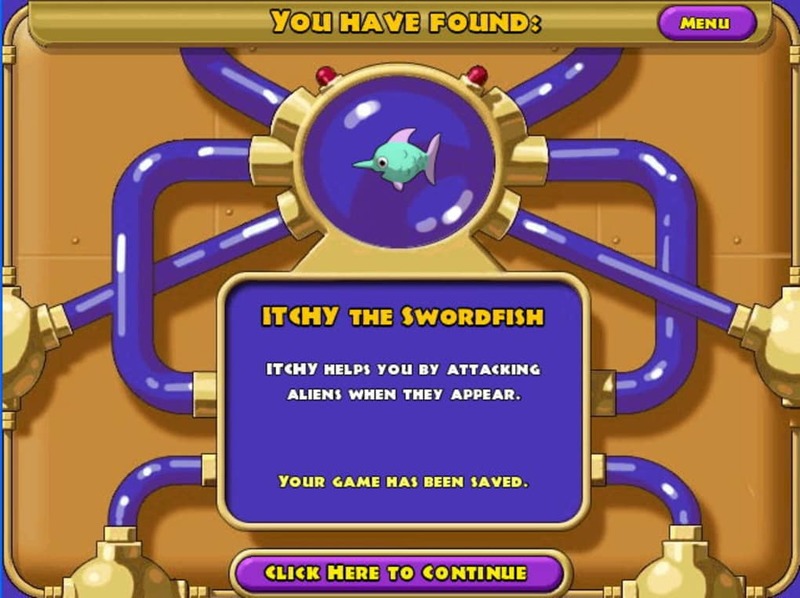 Fighting the aliens and feeding the fish are simple in terms of the required actions but keeping up with the resources you need can be challenging. 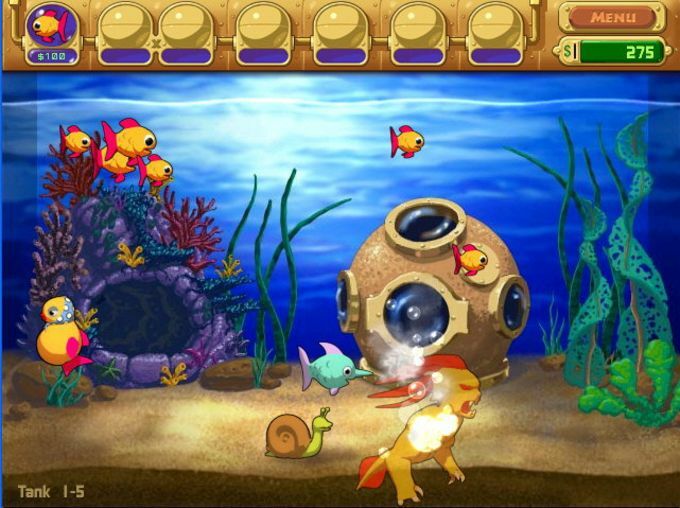 Insaniquarium is an interesting combination of different styles of gameplay wrapped in fun kid-friendly visuals. The premise doesn't make an enormous amount of sense but managing the fishtank is an enjoyable -- and sometimes surprisingly challenging -- way of whiling away time. 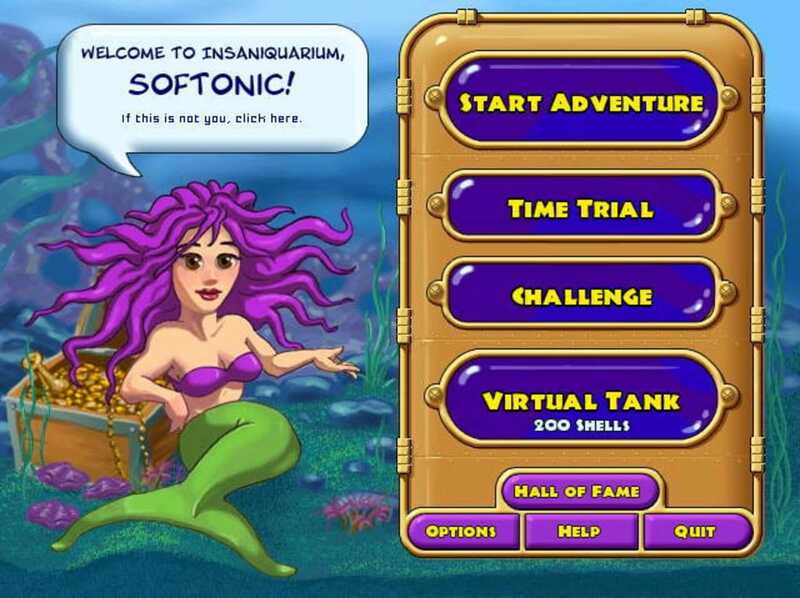 What do you think about Insaniquarium? Do you recommend it? Why?